Hampi is an emerging tourist destination in Karnataka – India. It is a small village with a population of a few thousands. The nearest populous and semi developed city is Hospet, 13 km away. 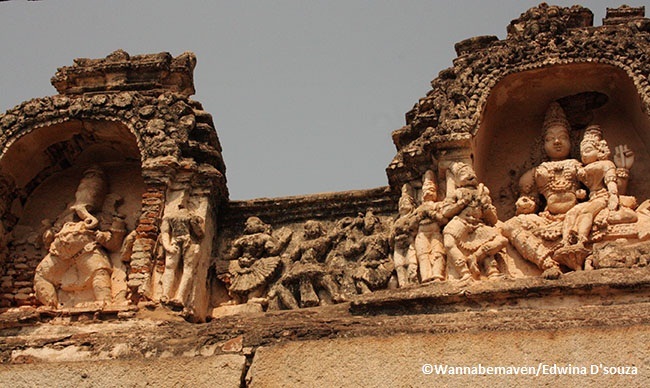 The focal point of your visit to Hampi is the ruins of the Vijayanagara Empire. These ancient ruins dating 1 CE were once a flourishing kingdom. They have now been pronounced as a UNESCO World Heritage Site. Spread over 11 km, the ruins can take upto 2 to 3 days to explore by yourself. But if one is pressed for time, here is an option to do with….. Note: This itinerary is just one way of exploring Hampi. If you have a better and comfortable way of doing this trip, go ahead. The idea here is to encourage you to visit this heritage marvel and you are free to do it your own way. Arrive Hospet in the evening. We chose to drive down from Mumbai (740 km approximately). Book yourselves in a lodge right away. Take some rest as you have an early morning next day. 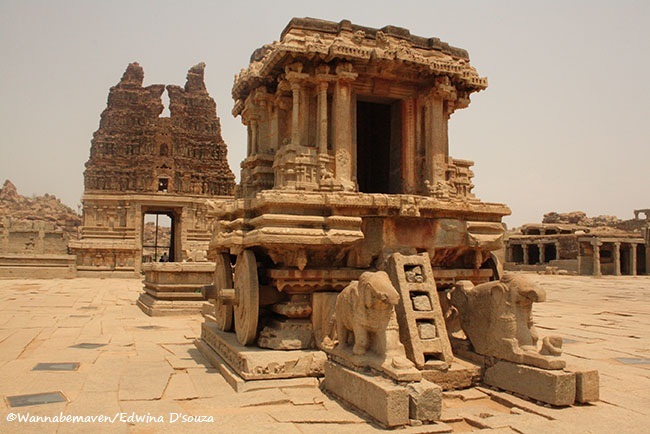 Set out to explore the ruins of the Vijayanagara Empire in Hampi. The site opens for visitors at 8 am. The highlights at the heritage ruins include the Virupaksha Temple, Hampi Bazaar, Stepped Tank, Lotus Mahal, Queens Summer Palace, Stone Doors, Elephants Stable and the Shivalinga. The Hemakuta temples have an 18 feet high Ganesha made from a single stone. 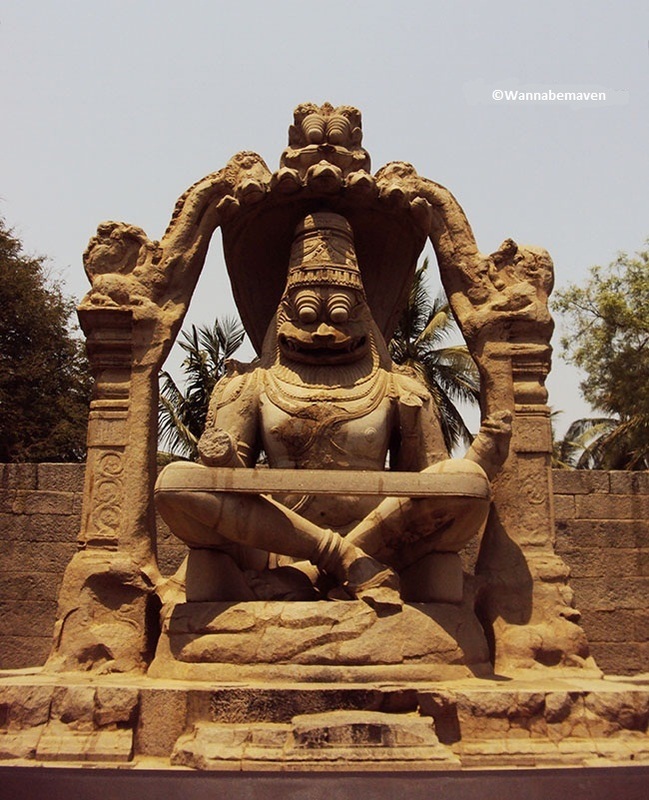 Even the 21 feet Lakshmi Narasimha statue is from a single stone. 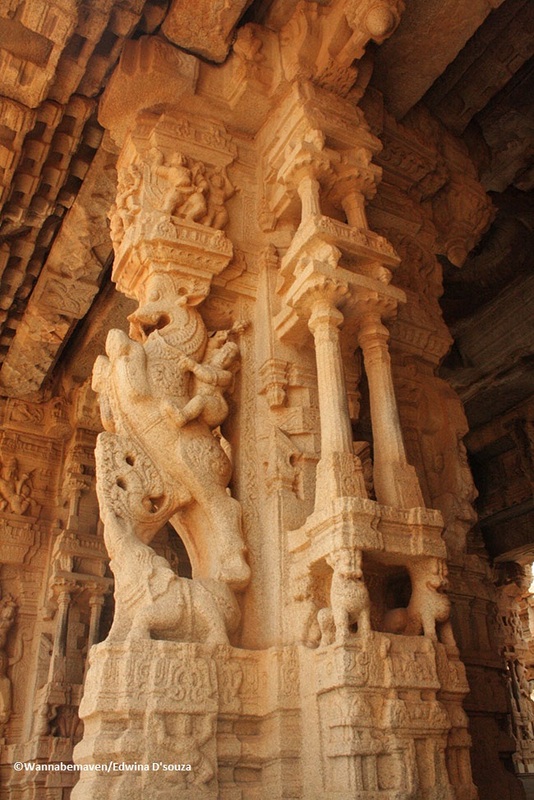 The Vittala Temple is popular for its Stone Chariot and Musical Pillars. 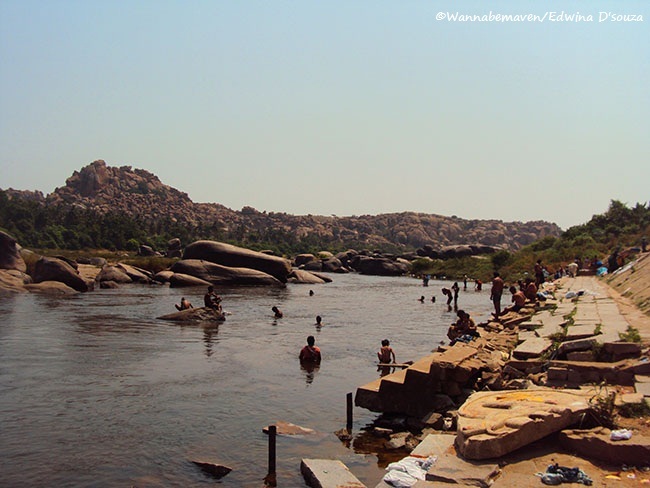 Relax on the shore of the Tungabhadra river or take a dip in its waters, either ways you feel rejuvenated. 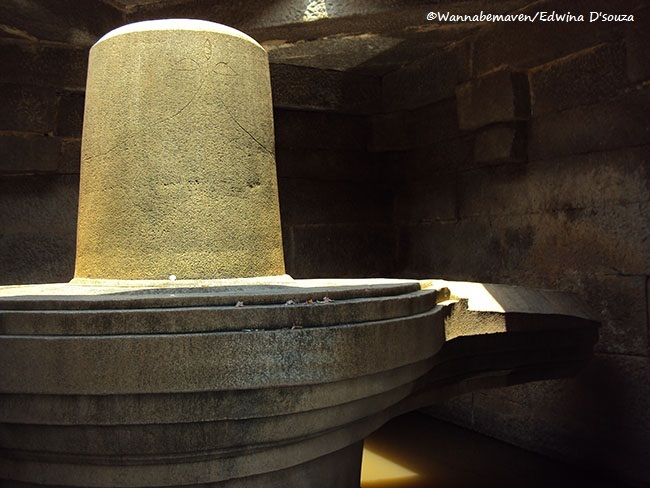 The Matanga hill is known for the panoramic view of Hampi ruins as well as its sunrises and sunsets. Avoid climbing the hill during noons due to scorching heat. Later you can visit the Anegundi village across the river from Vittala temple. There are motor boats that take you to and fro. The village has a temple known to be the birth place of Lord Hanuman. Climbing the temple is some 500 steps. 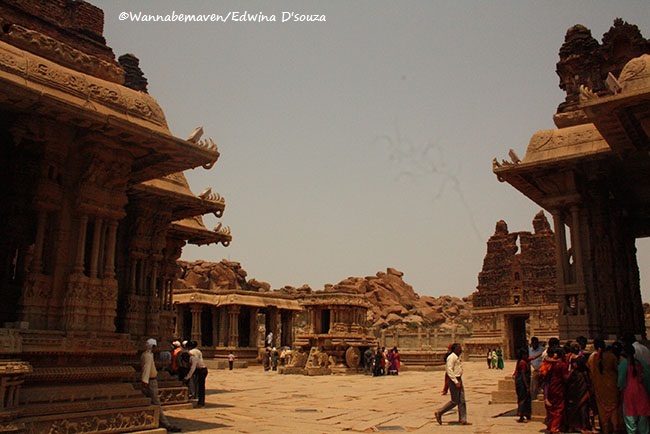 Other than the ruins of Vijayanagara empire there isn’t much from a tourist point of view in Hampi – Hospet. Nonetheless, if you are the explorer types, you can check out the Bear Sanctuary in Hospet. In the evening around 7 pm, there is a Musical Fountain show near the Tungabhadra dam. The site is just about an okay filler. We were a bit disappointed and found it gimmicky. However, if you are a group of friends out to have a good time, you could sit in the gardens and watch the fountains dance to Kannada and Hindi songs. Later move back to hotel for a good night sleep. Wake up early morning and after breakfast leave for your journey onwards. 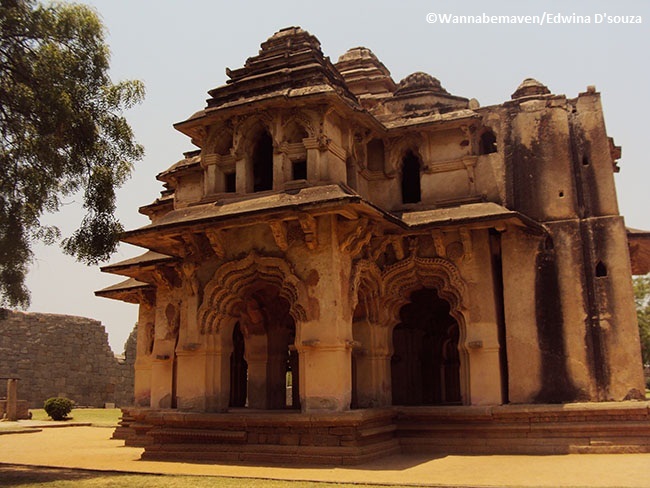 You can opt for a train or bus journey to visit Hampi in which case your nearest stop will be Hospet (13 km away). Government buses run from Hospet to Hampi every half an hour, so traveling is not all that tricky. In fact many tourists (even international travelers) often take this mode. We chose to drive down to Hampi with our vehicle. This took us 12 hours from Mumbai and we arrived late in the evening. We chose to skip night driving for daylight safety. Also we find it a better deal to drive during the day and sleep the night off rather than drive all night and feel tired the next morning in which case you sometimes compromise on sightseeing. While exploring the ruins it is recommended to hire a bicycle, moped or a rickshaw. If you are pressed for time also hire a guide. 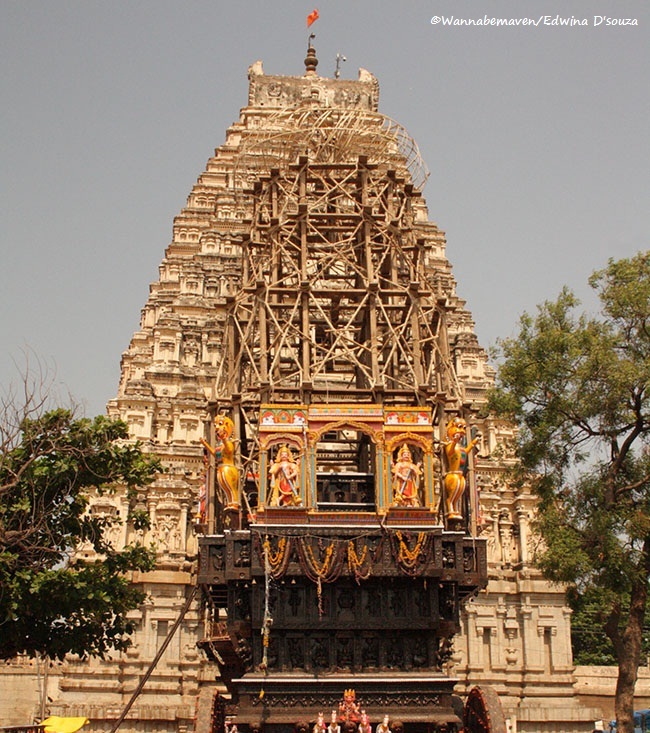 We decided to hire a guide as we gave ourselves only 1 day in Hampi-Hospet. If you have a hired vehicle the guide can accompany you on your exploration. (Note: Ideally the Vijayanagara ruins need an entire day of exploration, sometimes even the next day. But if you are on a tight schedule, it is best to hire a guide at the site. You won’t regret the decision. Also the guide gives you many little details which a map or book would not provide. Take for example the news, that Karnataka court has asked the 4000 odd villagers around the ruins to vacate the place for excavation and since it is a UNESCO site. The government has allocated a place 4 km away from the ruins). There is no non-vegetarian food available within the boundaries of Hampi. Hospet is your bet for non-vegetarian meals. The locals may understand English and Hindi, but don’t expect them to converse fluently in these languages. Kannada still remains their dominant language. Hospet, since better developed has good hotel amenities compared to Hampi. There are many options like Mega Inn, Pai Residency and Lodge and Hotel Shanbaug International. If you want to stay in Hampi, there are few basic lodges like Mayura Bhuvaneshwari which is a centrally located Government guest house. We chose Pai Residency in Hospet for being offered a reasonable deal on a Family room with a/c (check with the hotel for updated prices). If you contemplate on driving down with your vehicle, avoid night driving. The roads are not in great shape. Also make sure your car has good ground clearance. We drove with a Maruti Suzuki Esteem and our silencer gave way. We decided to combine this trip with Goa. So, after our stay in Hampi we drove onwards (Obviously not without getting our silencer repaired while in Hospet). This itinerary is if you drive drown with your own vehicle. 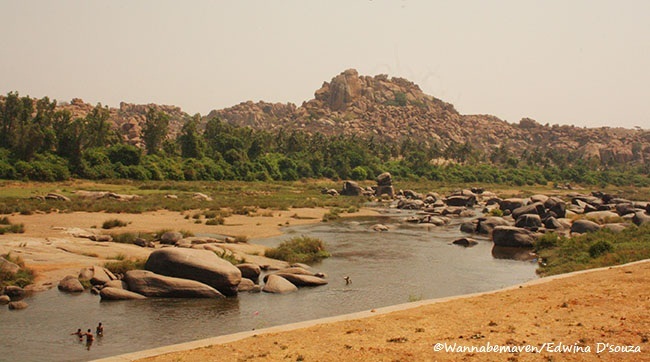 But remember, there are many other ways to reach Hampi like via a bus or train. A lot of travelers combine Hampi with another destination like Bangalore or Goa. For example, they board a night bus from Goa, arrive Hospet in the morning. 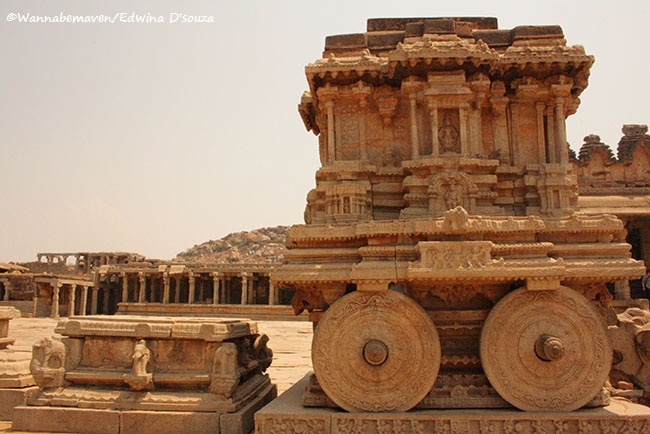 Take a government bus or auto rickshaw to Hampi. Sight-see until evening. Come back to Hospet and board the bus back to their original destination. 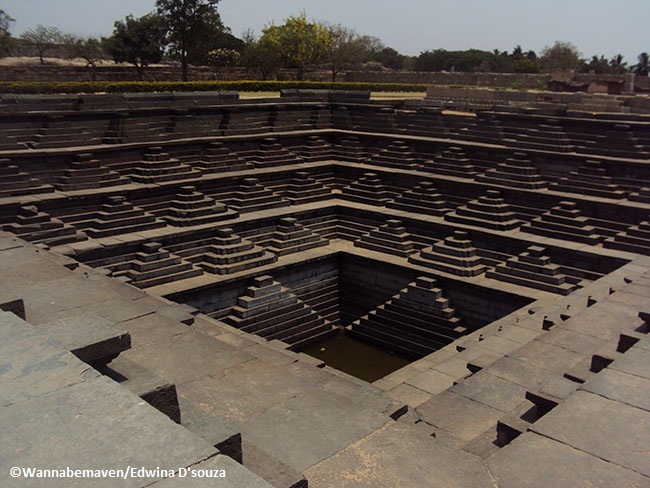 This way you can cut down on an extra night in Hampi-Hospet. However, the journey may get tedious and gives little or no time to rest. Like this itinerary? Also check out…..
← Women-Centric Bollywood Films in 2014 – The Year So Far…..